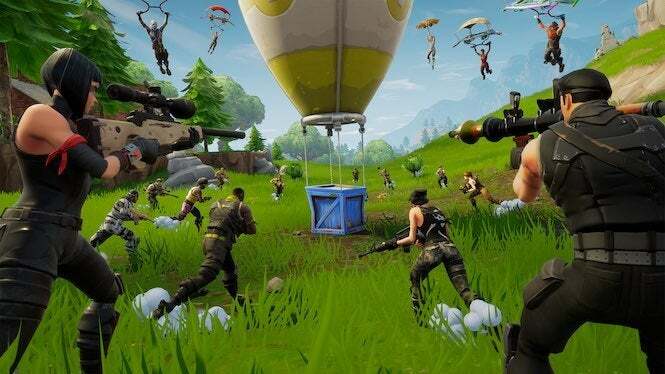 Fortnite players have recently been advocating for servers in the Middle East to allow people in that region to have better online experiences, and Epic Games has now responded with a statement and a promise of more informations. Twitter users rallied behind the “FortniteMiddleEastServers” hashtag to get Epic Games’ attention regarding the absence of Middle Eastern servers, and the efforts appear to have been successful to some degree. Servers in the Middle East don’t appear to be on the horizon with Epic Games saying the cloud providers don’t currently have capacity available in the Middle East, but a solution is expected to come in the following months. We work with multiple cloud providers to supply the infrastructure for Fortnite servers globally. None of these providers yet have capacity available in the Middle East region, but we expect to have a solution in the next few months. We'll keep you updated as we learn more! The official response from Epic Games followed tweets like the ones below from those online who pushed for Middle Eastern servers. Players shared their accounts of how the game played in that region with screenshots and others explaining why Epic Games should consider adding servers in the Middle East. The message below from Mohammed Aloufy has been shared multiple times by others and appears to be serving as the standard request for Epic Games alongside the hashtag that’s still dominating Fortnite’s Twitter community. When not campaigning for the servers in the Middle East, Fortnite players are also able to participate in the return of the 14 Days of Fortnite event that’s back now after some confusion resulted in players not finishing their challenges on time to get the rewards.